Located just steps from the beach, watch the pelicans fly over from this lovely home boasting full ocean views! This immaculate, 4 bedroom island home features an open living area with hardwood floors and spacious kitchen. On the first floor, the living room offers a spectacular ocean view as well as comfortable seating, a 42" flat panel TV, entertainment center with and direct access to the covered porch and boardwalk beyond. 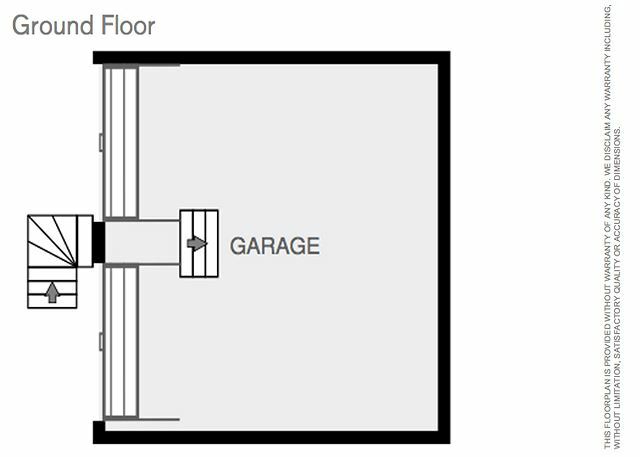 Also on this floor is the dining room with new table and chairs to seat 8 people and sliding glass door to the porch. The open, airy kitchen features a large connected counter-top; making meal preparation and serving the kids a breeze. The full size, side-by-side refrigerator, smooth top electric range with built-in microwave above, dish washer and separate ice maker provides convenience and ease when preparing your favorite home cooked recipes. Three guest bedrooms on the first floor accommodate 8 guests. One bedroom offers an amazing ocean view and consists of a queen bed, 45" flat panel TV, and private access to the covered porch. It shares a full hall bath with tub/shower combo with the second guest bedroom which also has a queen bed. The third bedroom with 2 queen beds, 27" TV and separate hall bath with tub/shower combo. The laundry facility is conveniently located and offers full size appliances. 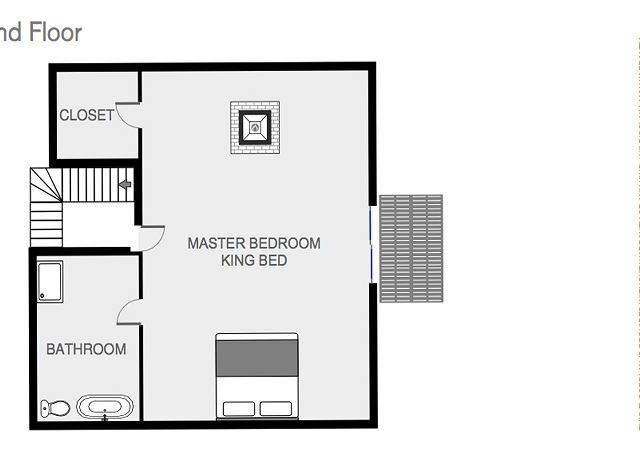 The second floor consists of a huge master suite. The sliding glass doors and windows offer one of the best ocean views in the house! This bedroom suite comes complete with king bed, private balcony, and large master bath. A sofa for additional seating offers a spot for relaxation or for viewing the 54" flat panel TV. The master bath is spacious and bright. It features a large Jacuzzi garden tub, walk-in shower, double vanity and 2 sky lights. To make the most of your beachfront home, the ocean-facing porch provides a picnic table and rockers, perfect for enjoying the sights and sounds of the Atlantic Ocean at your doorstep! Enjoy your next beach vacation to Isle of Palms in this gem of a home! The house was perfect for our needs. Plenty of beds and communal space. Loved that we could walk right out to the beach. We have stayed at this property several times and this time really enjoyed the upgrades that have been done. The floors were beautiful and everything was clean and neat. It is a warm happy place to read and look at the ocean and walk on the beach when weather permitted. East Islands Rentals are so easy to work with and if anything is needed are there immediately. We will be back! Manager Response: Hi Bruce, Thank you for taking the time to leave us a review for Pelican Watch, we are glad you enjoyed your stay and hope to see you again soon! East Islands Rentals ! perfect getaway for me and three boys. house is as it should be, gently used but very nice beach house. was clean, efficient, everything worked, staff was perfect, would stay there again. great location, nice quiet beach. We had a great time at the beach. There were a few issues with the house which were addressed quickly and completely by East Island Rentals. The only down side was apparently 30 plus umbrellas and chairs were rented and planted each morning right in front of our house. We asked for them to move them away but they never did. We still had a great time. Long vacation scheduled around graduation from College of Charleston. Great location right on beach and close to Harris Teeter and a couple of restaurants. We were close enough to also Uber in to Charleston. House has all you need for a great vacation. My only recommendation would be more seats on deck overlooking the ocean (not benches)and a couple of umbrella for outside and a new coffee pot. otherwise, great place! We have stayed on this property several times in the last 3 years. It is a beautiful home with sweeping ocean views. The home is cozy and comfortable. Even in winter it is a fun place to stay. We walked on the beach every day and enjoyed the quiet beautiful view. East Islands Rentals are wonderful to work with and quick to respond to any problems. we will return! The location was fantastic! Easy and enjoyable drive through Sullivan's daily to sailing camp at Patriots Point. Shop, eat, and sight see in Charleston. Dining at Sullivan's. Walk, dine, and shop IOP. Boogie Board, run, walk, play, gaze out at BEAUTIFUL OCEANFRONT BEACH! The kitchen has EVERY toaster, dish, pot, pan that you need. The house was huge for our family of 4. Set up perfectly if you had 2 small families or ladies/couples weekend. There will be a fight for the awesome master bedroom. I got to be lazy and sat on the porch and enjoyed coffee, read, and watched the kids and Dad play in the waves. We could go to the beach at a whim for 5min or 5hrs. This is not a brand new house, but the owners have done great updates and continue to take care of their investment.